As part of a new five-year, $3.5 million visual arts program designed to help enhance the quality of artistic endeavor and work by Oregon’s most promising visual artists and to improve the state’s visual arts ecology, the Ford Family Foundation has announced that it is accepting applications for three unrestricted Hallie Ford Fellowships. The fellowships, each in the amount of $25,000, will be awarded to visual artists in Oregon who have demonstrated a depth of sophisticated practice and potential for significant future accomplishment. With the exception of film, video, and animation, the foundation will accept applications from any visual arts medium. In keeping with the donor’s interests, the program will begin by emphasizing the more classic disciplines. Application is open to visual artists in Oregon actively producing new work in the fields of fine art and contemporary craft. Applicant must have been a full-time resident of Oregon for at least thirty-six months prior to the application deadline, be 30 years of age or older, have evidence of seven or more years of active professional participation in his or her medium, and must not be enrolled in a degree-seeking program. The foundation will announce guidelines and begin accepting applications for other components of the visual arts program later this year. Visit the foundation Web site for the complete Hallie Ford Fellowship program guidelines. 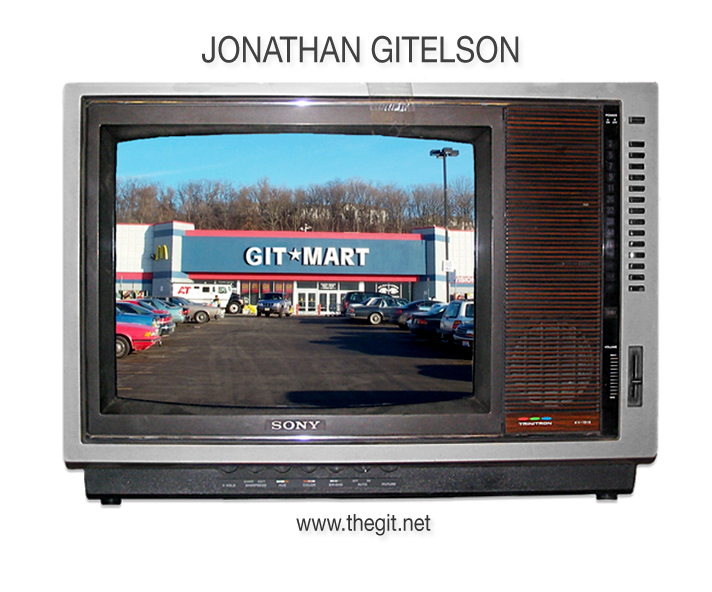 Jonathan Gitelson is one of the funniest people I know. I show a bunch of zines and artists books when I’m teaching to our nations youth and Jonathan’s book, Class Notes, is always pored over with glee and amusement. Now Jonathan is producing a handmade book, Scavenger Hunt, and you can help support the work and receive a print, spread of the book or even the book itself depending on your level of contribution. The Smithsonian’s Anacostia Community Museum would like to host a traveling exhibition from May through August 7, 2011, to accommodate an exhibition space of 2,500 square feet. The exhibition should address contemporary community issues in the urban setting and include engagement of a local community in its development. The content may address any of the following: neighborhood histories; family histories and family life; the built environment and community development; cultural encounters and demographic changes; craft and creativity in community life; leisure and recreation; spirituality, worship and religion in community life; cultural and ethnic encounters; impact of globalization on communities and neighborhoods. Please contact Sharon Reinckens at reinckenss@si.edu or 202-633-4838 for further information. In case you all have been gazing longingly at your google reader feeds wondering where o where I have been, the answer is Texas. Arriving early to sojourn at the Houston Rodeo with fellow bobcat Jill Karnicki, uber editor at the Houston Chronicle, for a few days I have been enjoying the camaraderie and fitness challenge that is Fotofest. Before heading to what is affectionately known as the Nac, where I will be having my first solo show of Consumed at Stephen F. Austin State U Monday eve. If you are in the area, come on down! Gathering no moss, I return post haste to the nation’s capital where my show “American Vernacular” will debut at Irvine Contemporary on 14th Street Saturday evening, from 6-8 pm. It will feature 12 images from culled from “Consumed” and “Off-Season” and is sure to be a good ice-breaker for the Spring season. Sayanora blizzard! I’m also happy to announce that the Smithsonian Institution has acquired a portfolio of my works. Curator Shannon Thomas Perich spearheaded the acquisition in betwixt working on bigger projects and I appreciate her support of me and my work. It’s been a busy but eventful month here for me. I’m looking forward to resting on the laurel for a wee bit, returning to the blog, making new work. I hope to see you in DC or the Nac! I wish I could be here on Sunday to hear National Gallery of Art photo curator, Sarah Kennel, lecture on March 14 at 2:00 pm on the exhibit: In and Out of the Darkroom: Nineteenth-Century Photographic Processes. Book signing of In the Darkroom: An Illustrated Guide to Photographic Processes follows in the East Building Concourse, Auditorium. I brought my students by the exhibit last weekend which was well worth the effort, and purchased the book – an excellent compendium if you don’t know your silver bromides from your caliotypes. I’m heading to Texas for a few weeks this Saturday for Fotofest and a few other odds and ends. More on that to come! So it seems that publishers might have gotten together and realized the business model should rely in part on the very real cache that print has: it is an object. I am emphasizing this to my students in a class i’m teaching on storytelling. How nice it is to see the project in multi-dimension, not as a slideshow flashing by on a screen – but in printed form, a series of lightboxes, what have you – think it up and do it. Because tangible rules in a digital world. Thus the new message touting the “power of print” dreamed up for five publishers: Time Warner’s Time Inc, Hearst, Advance Publications, Conde Nast, Wenner Media, and Meredith. One ad’s tagline: The Internet is fleeting. Magazines are immersive. I would have shot that ad as a pair of hands holding a magazine out of a cute art deco black and white bathroom. Anyhoose, you can read all about it at the Wall Street Journal here. Do not leave your small dog unattended by a coffee table laden with chocolate cake while you and your studio visitor are looking over work. That is my contribution to studio visit etiquette. I had to make a calculated judgment as to whether teddy roosevelt needed to go to the emergency room immediately after imbibing about 1/4 of a Smith Island chocolate 10-layer cake immediately, or it could kind of wait out the flow of the meeting. Nothing like your visitor looking over your left shoulder and saying, uh, is your dog supposed to be eating that? Luckily, Joanne Mattera has provided a more comprehensive round-up of things to think of to dazzle your guests here.